As any good Yorkshire-person knows, August 1st is Yorkshire Day and to mark the occasion we worked with fellow Leeds agency, Banana Kick, to transform Trinity Leeds’ 3-tonne T-Rex to a ‘Tyke-Rex’ for the day, donning a 1.5 metre Yorkshire flat cap. Not only that, we also tapped into football fever and the the dino became Leeds United’s ‘biggest’ fan to date when he roared on the Whites ahead of their clash with Middlesborough at Elland Road at the end of the month – shame they only drew! The T-Rex featured in the Sky Sports coverage just before kick-off – did you spot him? Umpf has been working with Northern Powerhouse Developments on the launch of a luxury boutique hotel in North Wales, Caer Rhun Hall. The accommodation, which officially opened its doors on August 8th, underwent a multi-million-pound refurbishment, creating 32 stunning bedrooms in exclusive surroundings. All hands have been on deck across PR and social media this month to raise awareness for the hotel, securing coverage across a range of publication, including a visit from The Telegraph. Stayed at Caer Rhun Hall in Conwy last night and now writing a review. It’s just been renovated and opened two weeks ago. Thought I’d share this one on here as it would make a perfect wedding venue if anyone is looking for a fairytale castle?! No WiFi or TVs yet – but I think that’s a good thing! Over the next couple of years there are big plans for a restaurant, spa etc. As usual, Poofo the van rather stands out in the car park! 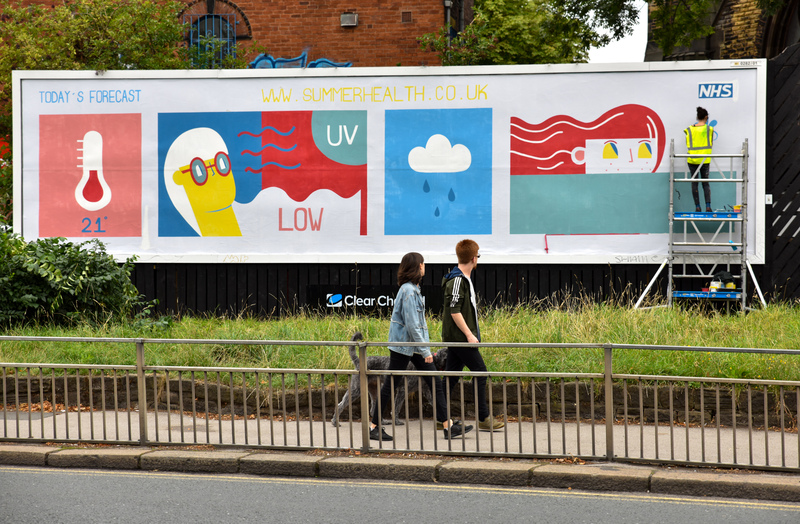 Maximising on the long hot summer, we partnered with NHS Leeds Clinical Commissioning Group (CCG) to pilot an innovative health awareness campaign combining weather-activated digital messages with live, artist-painted posters. The month-long out-of-home initiative saw five alternative health awareness messages broadcast on 38 digital screens across Leeds city centre. Each day an awareness message played depending on that morning’s forecast: high UV triggered a sunscreen and cover-up message; high pollen triggered allergy medication advice; and there was regular reminders for people to keep hydrated. Two further ads reminded the public about having their asthma medication with them at all times and using it when appropriate to do so. The digital campaign was supported by a marketing first for the NHS – billboard posters painted each day for one week at a prominent commuter intersection in Leeds, close to the universities. Leeds-based artist – Emma Hardaker – was commissioned to live paint health notifications on a 96-sheet billboard, based on that day’s UV, pollen and temperature forecasts. 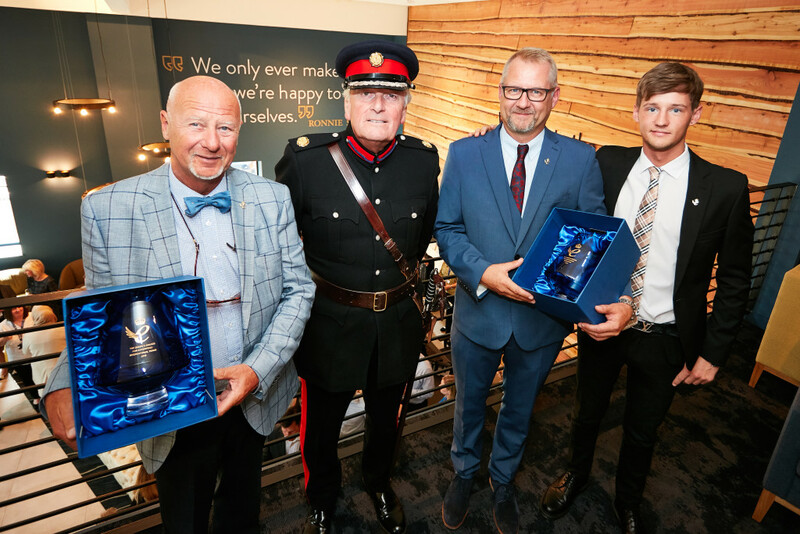 We joined our client, fifth-generation family bedmaker, Harrison Spinks, in welcoming the Vice Lord Lieutenant of West Yorkshire to its Leeds Headquarters to receive its Queen’s Awards for Enterprise. Mr Tim Hare, one of the Queen’s representatives for West Yorkshire, visited Harrison Spinks’ brand new Innovation Centre to present the awards to chairman, Peter Spinks, Managing Director, Simon Spinks and buyer, Daniel Spinks – three generations of the family currently involved in the Business – on behalf of the entire company. The Spinks family has been making beds in Leeds since 1840. The awards were granted in April in recognition of outstanding success in Innovation and International Trade. Coverage of the presentation appeared across trade and business titles. To find out more about what we do get in touch by tweeting us at @umpf, give the newly revamped @instaumpf a follow or send us an email at contact@umpf.co.uk. Come back next month to find out more about our incredibly glam September!